Wednesday, February 7, 1912: I certainly was a blundering dummy in my examinations today. I happened to get in General History four questions that I hadn’t looked up before. It sometimes seems that you study the very things you are least liable to get. 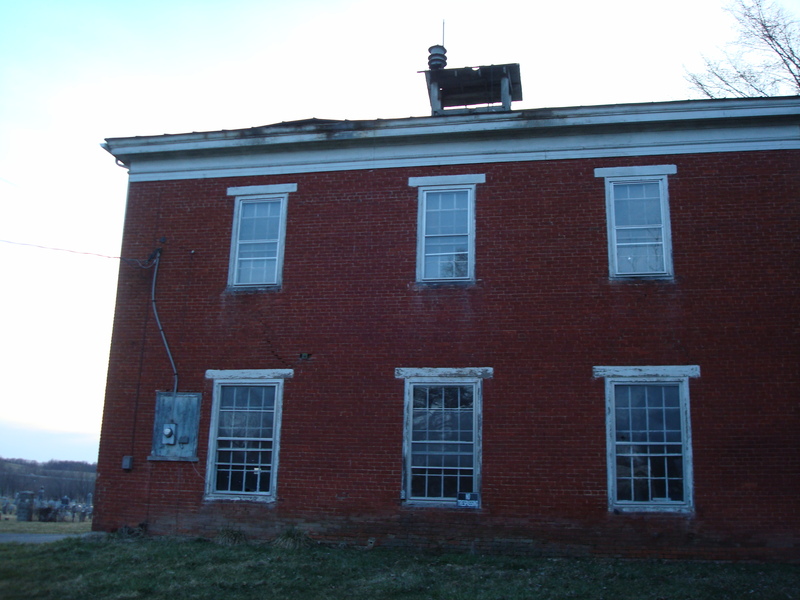 Recent photo of the building that once housed the McEwenvsille School. I can almost picture an upset teen--who was mad at herself for missing a couple questions--- slowly descending the stairs from her second floor classroom and heading out into the cold to begin the long walk home. How frustrating to have studied the wrong things! Did the teacher ask for arcane facts about minor Civil War battles or generals?? . . . or the disputed election of 1876 between Hayes and Tilden? ?. . .or the Panic of 1837?? . . . .or . . .?? Posted on February 7, 2012 February 6, 2012 by SherylPosted in OtherTagged 100 years ago, 1912, diary, hundred years ago.